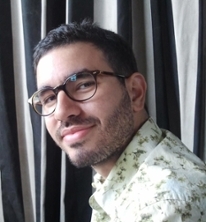 Tito Carvalho is a Ph.D. candidate in sociology and science studies at the University of California, San Diego, and since 2016, he has been a Science, Technology & Society Fellow at Harvard University. He lives in Boston, Massachusetts. In his dissertation, Tito follows scientists’ involvement in a number controversies about race in the middle of the twentieth century to analyze more general themes concerning the co-production of natural and social orders. Tito’s central claims are that ontological, metaphysical, and epistemic debates about race, genetic variation, and evolutionary change constituted moments of: (a) emergence and stabilization of competing models of the proper scientific ethos and contract between science and society, and, relatedly, (b) boundary making between biology and sociology. Furthermore, (c) as these models travelled to other national contexts, such as Brazil, they were translated and re-articulated in revealing ways. Specifically, Tito examines the discourses, representations, and identities fashioned by the evolutionary geneticists Theodosius Dobzhansky and Richard Lewontin as they debated the meaning and use of the category of race in modern evolutionary biology as well as the ethos and source of the cultural and political authority of science. He then describes how the institutions of the Rockefeller Foundation and the United Nations Educational, Scientific, and Cultural Organization (UNESCO) amplified these discourses, transporting them to countries like Brazil in an effort to spread scientific rationality as a global political project. Finally, Tito will conclude his dissertation by going over how Brazilian sociologists and biologists, including Gilberto Freyre, Florestan Fernandes, Marcos Salzano, and Newton Freire-Maia, translated and re-articulated said discourses, including the boundaries that had been drawn between the natural and social sciences. Before turning to the topic of race and science for his doctoral work, Tito studied the history of the field of bioethics in the United States for his master’s degree, attending to similar questions concerning the co-production of expertise and political order. He has published his work in a number of academic journals, and has a piece coming out in the main Brazilian journal of the history of science, História, Ciências, Saúde – Manguinhos. It is about the ways in which we might re-think the historiography of the Modern Evolutionary Synthesis by taking into account the work that Dobzhansky conducted in Brazil with natural populations of tropical Drosophilia species. Tito also has a Bachelor of Science degree in biology, with a minor in philosophy.